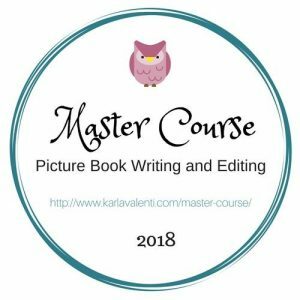 Christmas and Snowy have surprised and delighted us with their book choices and their games for Advent. We’ve had snowball fights, music making, pirates and Nicklaus even filled the shoes that they put out! 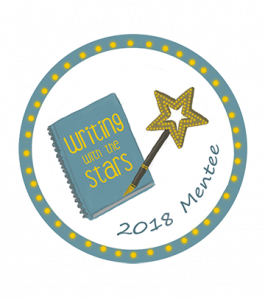 With fifteen days to go there’s even more fun to be had! 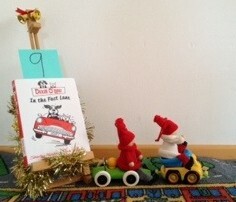 Inspired by Dixie O’Day In the Fast Lane we found Christmas and Snowy having a car race this morning! After yesterday’s car race Christmas and Snowy decided they needed a wash. 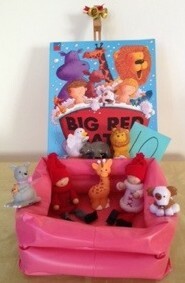 They brought us Big Red Bath and a few animal friends joined them. 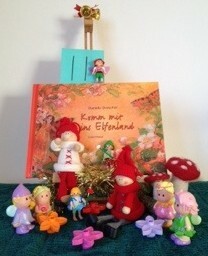 Christmas and Snowy had help bringing Komm mit ins Elfenland, they’re having fun with the elves and the fairies. 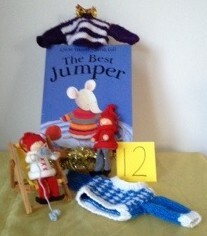 The Best Jumper was Christmas and Snowy’s choice. 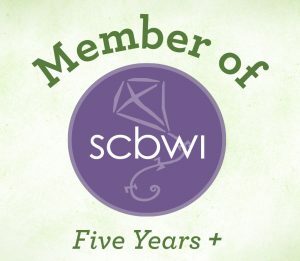 We had no idea that Snowy could knit! 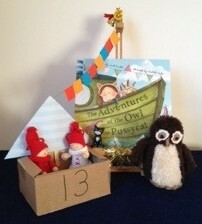 Christmas and Snowy made themselves a cardboard boat and joined in with The Adventures of the Owl and the Pussycat. 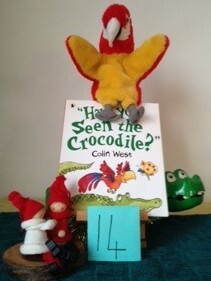 Christmas and Snowy brought Have you seen the Crocodile? but they’re hugging each other tightly. I hope the crocodile is friendly! 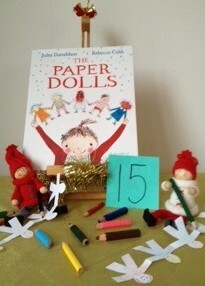 Christmas and Snowy brought The Paper Dolls and they have been very busy making their own. 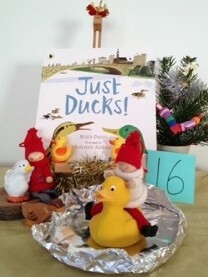 Snowy and Christmas brought Just Ducks and Snowy couldn’t resist dabbling with a duck in the duck pond! They’ve also found time to put up their Christmas tree.